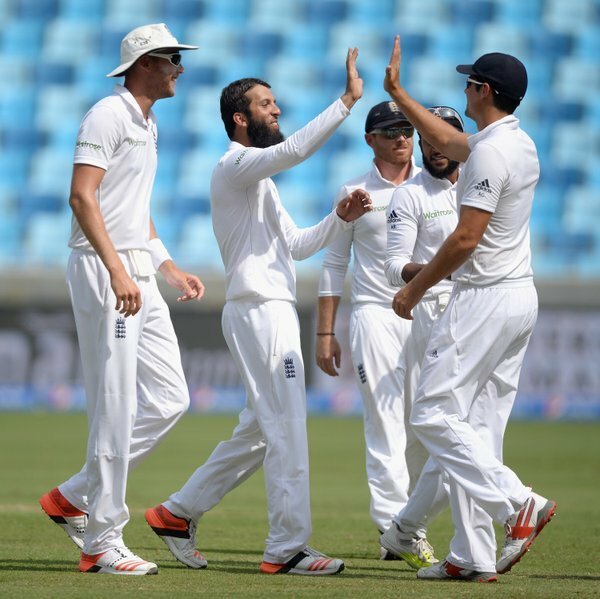 Pakistan all out for 378 with Moeen and Wood taking three each. 100 partnership up from 146 balls between Bobby 57 and Stoin 45. 145 runs needed from 144 deliveries. 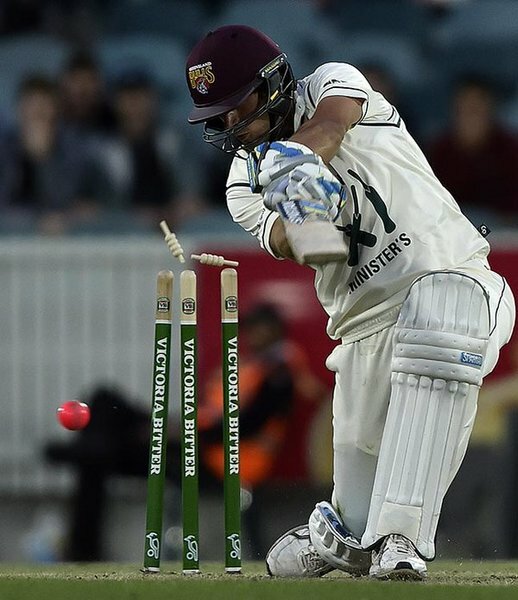 BOWLED! Voges is castled through the gate by Santner for 55. PM's XI 6-107 as Agar enters. 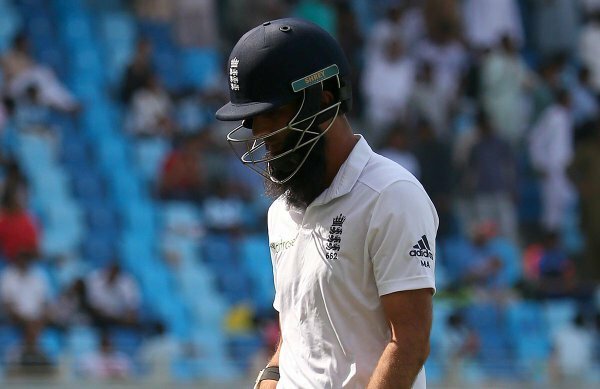 England are in early trouble in Dubai, losing Moeen and Bell cheaply. Drinks in Canberra. PM's XI 7-145, needing 163 from 90 balls. West Indies all out for 163, trailing Sri Lanka by 37 runs. Another wicket falls with Patto out for 6 (7). 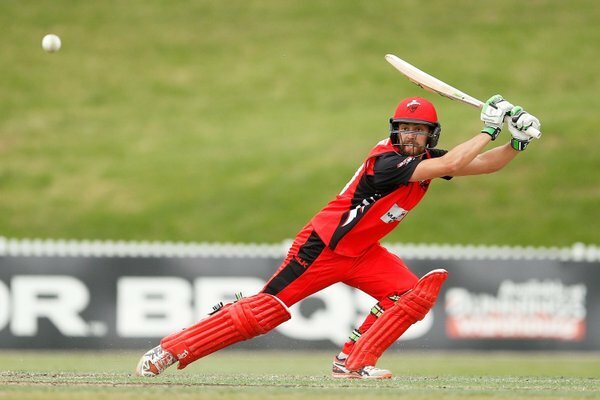 63 from 27 needed.
.@WestEndRedbacks just one wicket away from a place in the #MatadorCup final. THAT'S IT! 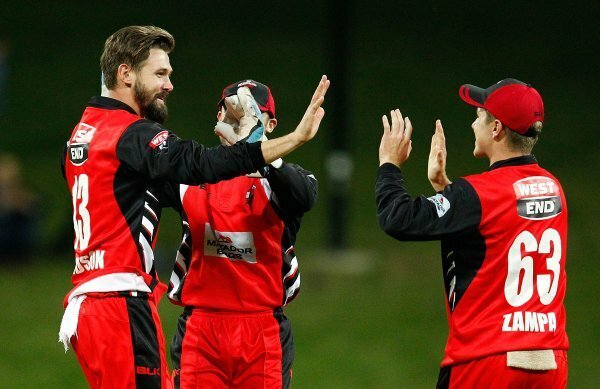 The @WestEndRedbacks win by 56 runs and will take on @CricketNSWBlues in the #MatadorCup final on Sunday! OUT! 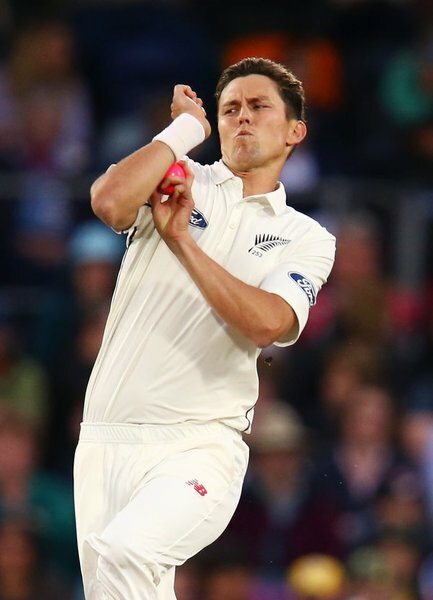 Behrendorff is bowled by Bracewell for eight leaving the Black Caps one more wicket to win. GAME! 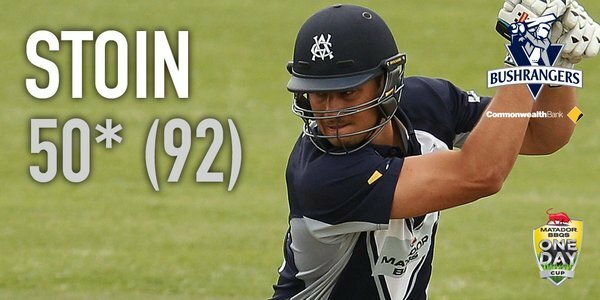 Carters holes out off Neesham for 74 as NZ win by 102 runs.
.@WestEndRedbacks continue giant-killing run in emphatic fashion. 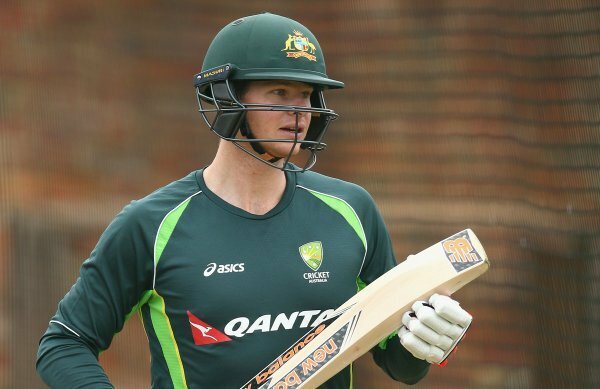 Black Caps inflict capital punishment on PM's XI in Canberra.